There are a few awesome things on my desk right now. 1) My Edit Letter! I think this makes it official. Well, MORE official. It also makes my head spin in the very best of ways. 2) A bag of Revision Skittles – No, I’m not sharing. I NEED these. 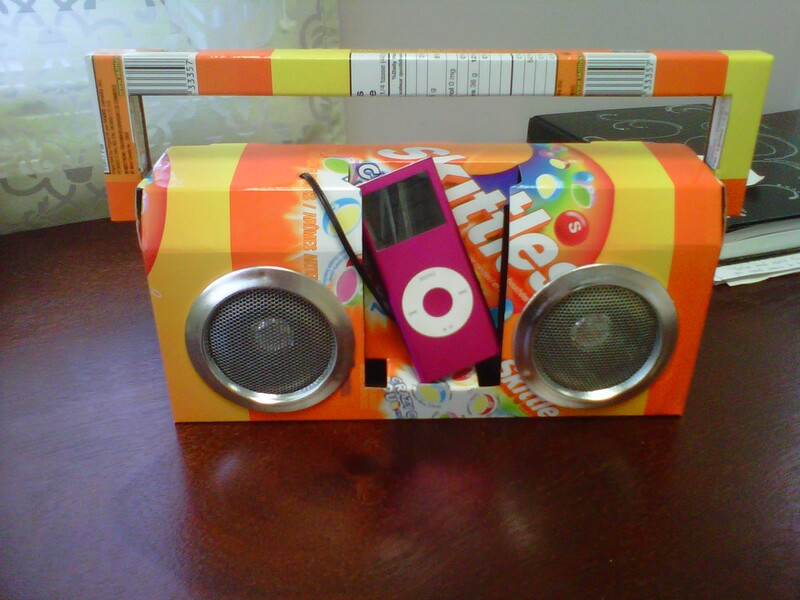 3) This fabulous Revision Skittle boombox. And this could be yours. Well, not this one, it’s mine. But there’s another one downstairs still in its box that could have your name on it. Music plays a large part in Send Me A Sign, and Revision Skittles played a large part in my writing of it – it seems only fitting that I should pair the two and give one of these away. To enter – leave a comment below where you list YOUR favorite candy. I leave tomorrow at early o’clock for the Goldblatt Agency retreat – aka Camp Barry – and let’s just say that I’m having some major separation-from-Schmidtlet anxiety. Cheer me up by entering. I’ll leave the contest open until I get back and will draw a winner on Monday. Good luck and stay sweet!